This season, print trends are moving from the runway to our bedrooms, living rooms and even our bathrooms! 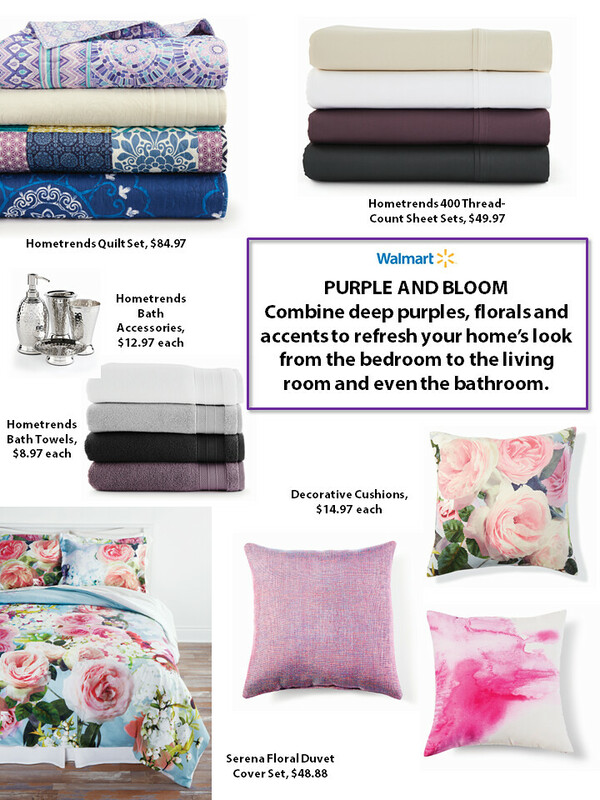 Pops of pink and purple floral from the current Hometrends collection below (available at Walmart) is perfect for the fashion fan of Oscar de la Renta and Blumarine’s 2016/17 FW runway! These light pastel colour schemed portraits will bring a soft beauty to your living space. Available in-store at Walmart. These cushions have a very bright, cozy and vintage feel. 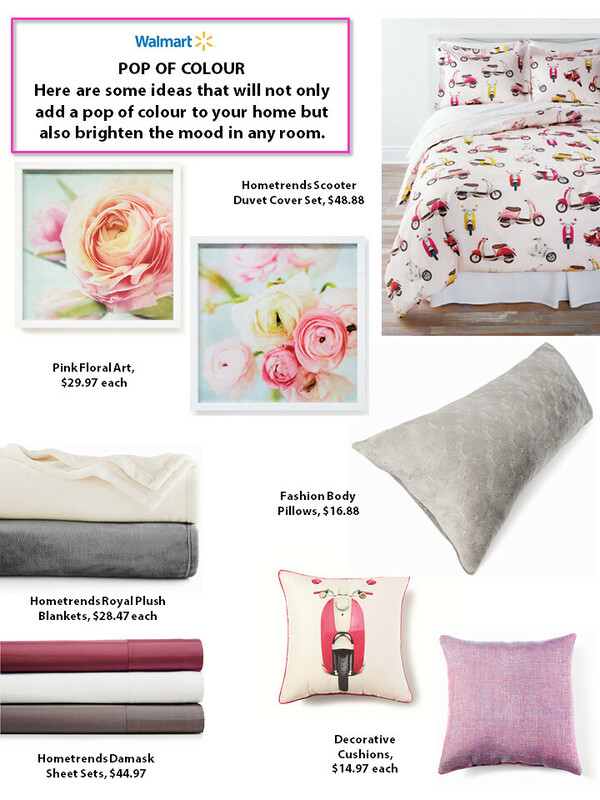 Incorporating pops of pink, floral and vintage Vespa images, these pillows will add an on-trend feel to your home at an affordable price. Available in-store at Walmart. This floral patterned duvet set will make you feel like you are sleeping in a bed of roses (or the scooter one). This set includes 1 duvet cover and 2 shams. Available in-store at Walmart. These metallic bathroom accessories will add a touch of pristine to your washroom décor. Available in-store at Walmart. Cozy up with this full length, super soft body pillow. It is perfect for sleeping, relaxing, or reading. A great addition to any room! Available in-store at Walmart. These gray and white colour schemed portraits will bring a soft beauty to your living space. Available in-store at Walmart. These red, white, maroon and brown colours will give a warm look to the living space. Available in-store at Walmart. Warm and will keep you dry. Available in-store at Walmart. so many great finds! I love the colorway! oh wow what amazing choices. Very sweet prints, I like more minimal prints. I adore that pink smoke pillow so much! Would love this in my bedroom! Thanks for your wonderful comment on Qing's Style. Hope to hear from you soon! I love such prints on pillows. 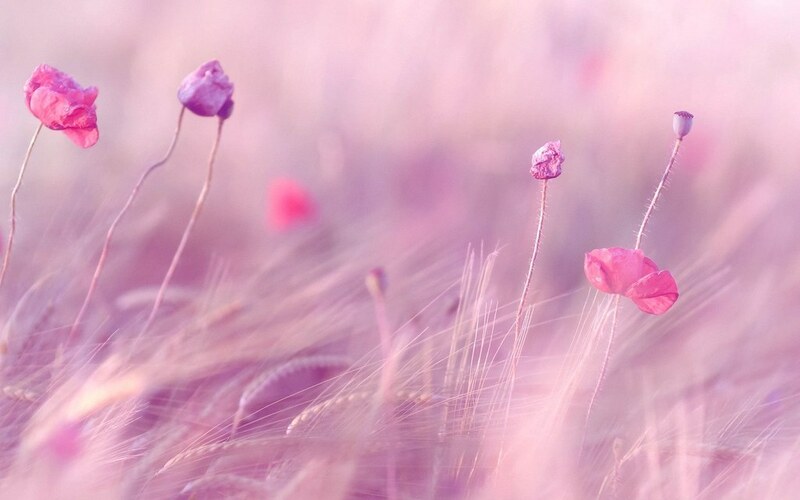 Wonderful pictures <3! Thank you for these finds.